It is very important to distinguish the difference between inference and observation. Observation is paying close attention to something using your five senses. Inference is the conclusion you arrive at based on evidence. 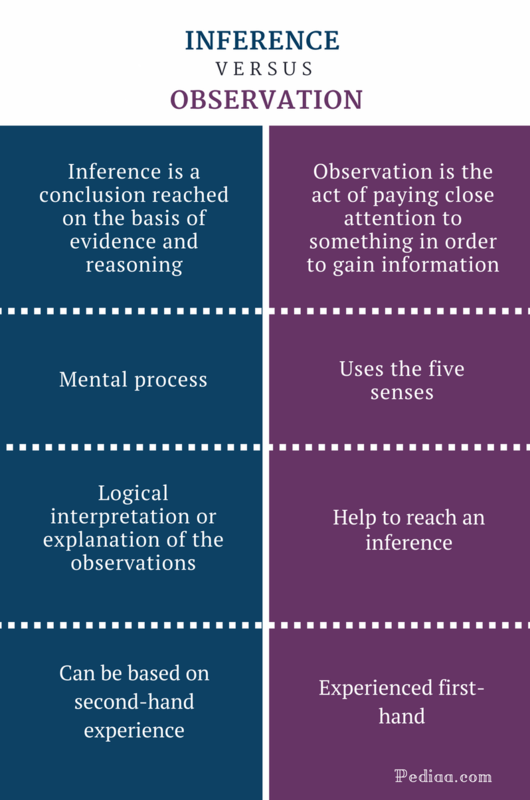 The main difference between inference and observation is that inference is a process that involves the brain whereas observation is a process that involves the five senses. It is also important to know that observations are always experienced first-hand whereas inferences can also be deduced from second-hand experience. 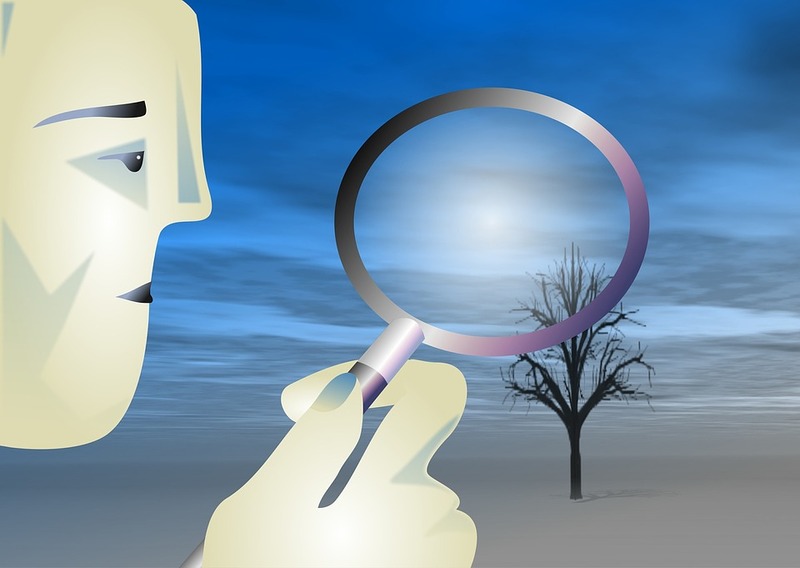 Observation is the act or process of paying close attention to something or someone in order to gain information. Observations are made using our five senses: sense of sight, smell, hearing, taste, and touch. If we take the change of seasons, you might observe how the colors of leaves change, how the smells change and how the temperatures change. All these observations help you to come to the conclusion that summer is coming. In scientific observations, there are two types of observations: qualitative and quantitative observations. Qualitative observations describe the quality of an object – color, shape, size, etc. Quantitative observations include information about numbers – height, weight, etc. An inference is a conclusion you draw based on your observations. It can also be seen as a logical interpretation or explanation of your observations. 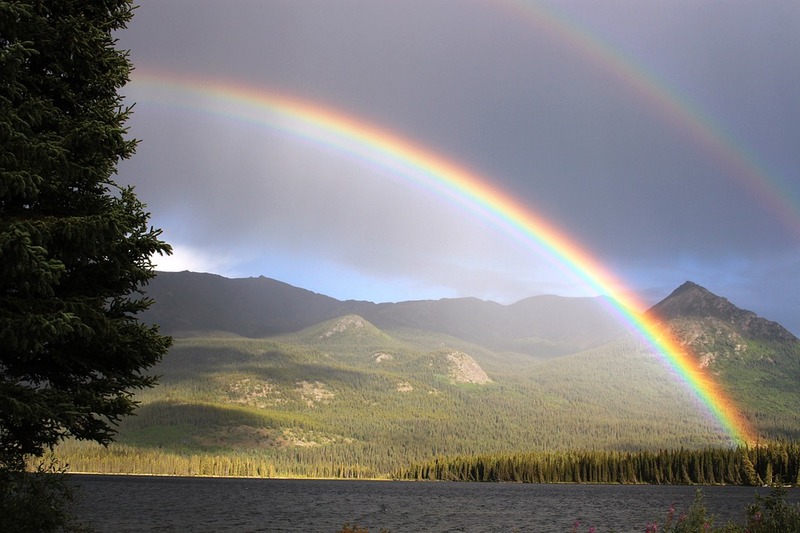 For example, you observe a rainbow in the sky and reach the inference that it’s going to rain soon. Similarly, imagine a situation where you are talking with your friend, you can observe the change in his tone, mood and body language and infer what he is feeling. Inference can also be made from the observations, evidence or facts that are gathered by someone else. However, inferences are not always accurate. Sometimes, the way you interpret your observations may be illogical or inaccurate. For example, you might observe smoke rising from your neighbor’s house and infer that the house is on fire, but in reality, the smoke might be from a huge bonfire your neighbor have made in his garden. Sometimes, the observations themselves can be inaccurate. A mirage is a good example of this phenomenon. Inference is a conclusion reached on the basis of evidence and reasoning. Observation is the act of paying close attention to something in order to gain information. Inference is a mental process. Observation uses the five senses. Inference is the logical interpretation or explanation of the observations. Observations help to reach an inference. Inference can be based on second-hand experience.